We'd assumed the main reason to go to Galvin at Windows was the view. 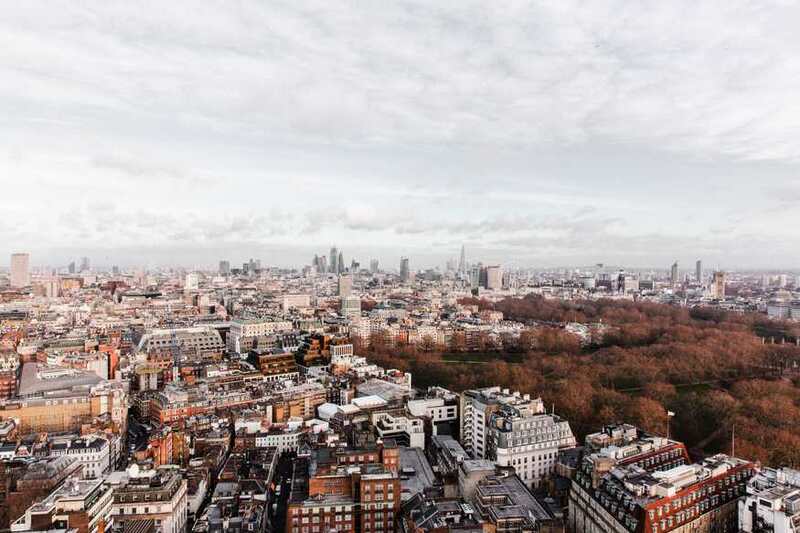 On the 28th floor of the Hilton Park Lane, you get west London's posher streets and parks spiderwebbing at your feet in a vista you just can't get from The Shard, The Gherkin or any of the City's 'scrapers. Even on a grey day, like this extremely January lunchtime, it's an impressive sight. But the brunch menu's a solid distraction. A newly launched Saturday-only offering, it's a slightly more affordable way to get up close to those Michelin-starred Windows than the standard à la carte. And it's surprisingly... exuberant, something you might not expect from a restaurant dubbing itself 'modern French haute cuisine', in an expensive-postcode hotel. Brunch classics are scattered with Korean influences; ceviches jostle with merguez eggs, fry-ups compete with fried chicken. Kimchi risotto: it's a thing. And an outrageously good one, the risotto silky and creamy, spiked through with the hot tang of the pickles, bite of spring onions and a slow-cooked egg slung on top as a powerhouse of a garnish. The fry-up's equally extra, with the usual suspects bulked up by nuggets of polenta, chilli-fried oyster mushrooms and rich, crumbly slices of blood pudding. And unexpectedly lovely flourishes aren't limited to the food, as each table's supplied with postcards of the view from the restaurant and complimentary postage — to let you drop a slice of FOMO directly through your friends' letterboxes. Galvin at Windows at London Hilton Park Lane, 22 Park Lane, W1K 1BE. Brunch runs every Saturday, 12.30pm-3 pm.